The kudos continues to roll in around Merck's use of ProtoSphere to produce a virtual poster session. It's earned recognition from the editors of Bio-IT World, who just gave Merck its Best Practice Award in the Editors' Choice Award category. Congratulations to the Merck team! Bio-IT World’s Best Practices Awards recognize organizations for their outstanding innovations and excellence in the use of technologies, practices, and novel business strategies that will advance drug discovery, development, biomedical research, and clinical trials. This year’s Bio-IT World Best Practices Awards attracted a record 74 entrants, including a range of large pharmaceutical and biotechnology companies, academic institutions, and niche service providers. 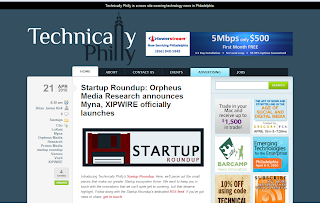 You can read more about the awards and winners by flipping over to Bio-IT World's coverage online. The project was also detailed in a recent Nature Chemistry article. And as regular readers know, we bought a small supply of them, which we're providing free of charge. However, we're just about out. There are a few left if you want one. Just hit our website to fill out the request form. My friend Sam Batterman, Business Intelligence Evangelist, Pharmaceutical/Life Science at Microsoft, offered to do a guest blog post on a topic that's near and dear to our heart: Keeping it simple. Thanks, Sam, for putting this together. Read on to see what he has to say. Have a comment? Leave it for Sam below. A few days ago, The New York Times ran a column in which the generals managing the war on terror condemned PowerPoint as a tool perhaps more dangerous than the insurgents killing service men. As a student of Business Intelligence, and a presenter for more than a decade, I have some opinions about this. First, Microsoft is not blameless. 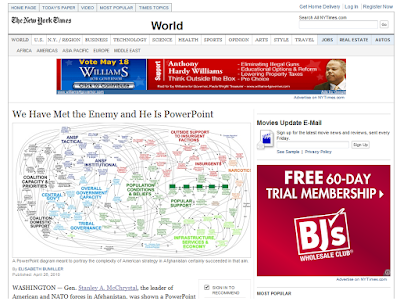 PowerPoint is a huge part of the American and, indeed, the planet's business landscape. It isn't going away, no matter how many NASA officials and generals prohibit its use. Take a look at this image published in The New York Times yesterday. It's an actual PowerPoint slide created by the U.S. Army for Gen. Stanley A. McChrystal, the leader of American and NATO forces in Afghanistan. It shows the American military strategy in Afghanistan. I'm no military leader, but even if I was, I still don't think I could make heads or tails of what the heck the strategy is based on that big blob of spaghetti on the screen. To call it overwhelming is an understatement. But think about this for a moment: That PowerPoint image could also be your global supply chain. Or your network of TV broadcasters and correspondents. Or the flight patterns over Europe after the eruption of the Icelandic volcano. Or any one of a number of complex business systems. This PowerPoint image doesn't work at any of those levels. Why? Because it's a 2-D depiction, and we don't think in 2-D. We think in 3-D. We work in 3-D. We live in 3-D. And it's time we start communicating and collaborating in 3-D. Many of our business communication and collaboration models have been stuck in what I'll call "flatland" for generations. If you're sharing information with PowerPoint, that's flatland. If you're learning through an e-Learning course, that's flatland. If you're meeting using an online conferencing service, that's flatland. These flat modes have no depth; they can't be used to solve complex multi-dimensional problems. The Pentagon is finding that out the hard way as it tries to map a very complicated problem -- our Afghan military strategy -- on a PowerPoint graphic. This isn't isolated to the U.S. military. It's an issue we see in our businesses every day. We see it with pharmaceutical companies, for example, and their complex research and sales force processes. We see it with any data or process that is complex or difficult to understand. and our perennial buddy and one of our biggest boosters, Dr. Karl Kapp. 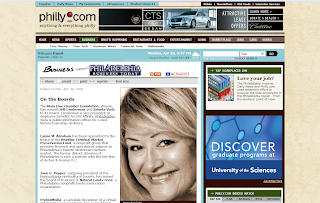 While I'm on the subject of media coverage, The Philadelphia Inquirer featured news of Greg Pelton joining our Executive Advisory Board -- also an exciting development for me and the company! 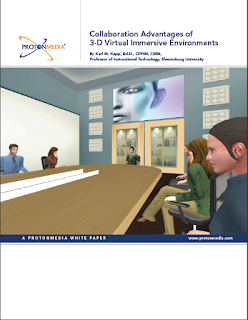 I know, I know, it took us longer to create the PDF of the transcript from our LIFE SCIENCES 2010 event than it has taken us to create a 3-D virtual environment in ProtoSphere ... but here it is at long last!!! This transcript officially caps off our coverage of the event. Feel free to download, read, save, and share it. For all of our coverage of the event, including the video, podcast, photos, and more, hit our LS2010 label. I have Google Alerts set for a slew of terms. And like most people who lead lives of quiet desperation out of their inbox, these e-mails often just become clutter and immediately end up in the deleted items folder. I barely have time to scan the headlines in one e-mail alert. But this one caught my eye the other day. It was an Inc. magazine article titled "The Best Collaboration Tools" by Max Chafkin. I was expecting to read about a roundup of tools that measurably improved the productivity of teams, and that help teams quickly come to a consensus on decisions. From where I sit on the "entrepreneurial throne" (j/k, it's really just your average desk chair from Staples), that is what collaboration is all about. But when I opened the article, I was surprised to find that Max listed Dropbox, Basecamp, Yammer, Gmail, and Google Docs. Now I like and use some of these things just as much as the next guy. But I thought "best collaboration tools" is a pretty strong term for describing them. 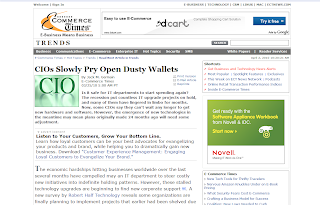 They're more like the "best free small business document and content sharing tools online." I noted this in a comment on the article. Certainly having several people work on a document is technically collaboration, but that is the tactical definition of collaboration. To me collaboration is a strategic imperative, especially for fast-moving entrepreneurial companies that need to make decisions quickly. They are at a disadvantage, from a resource perspective, compared to their much larger competitors. They need to find ways to lever technology to their advantage in contrast to the slower-moving competitors saddled with big corporate IT departments and policies that require certain approvals and other obstacles. It would be interesting to see Inc. follow up on this, and go beyond just interesting and cool document and content sharing technology -- which is pretty much what Max covered here -- into things that actually help teams work more efficiently and effectively together. Whoever said geeks aren't cool was dead wrong. Kinda' reminds me of the Bill Gates quote, "Be nice to nerds. Chances are you'll end up working for one." So there you have it folks, geeks are cool. 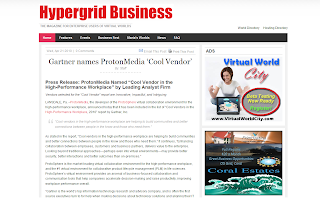 And now ProtonMedia is officially one cool, geeky vendor. 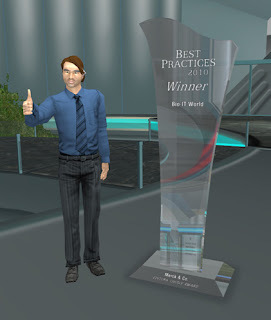 That's because Gartner anointed us one of its "Cool Vendors in the High-Performance Workplace" for 2010. It published its report last Thursday. It's another high-five milestone for the company and ProtoSphere, and I'm honored Gartner included us in the report. It's no small feat to survive its stringent research process, so we must be doing something right!! 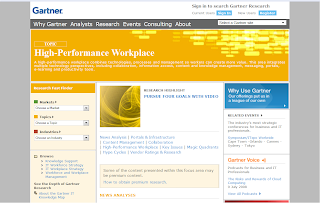 Thanks again to Gartner for its time, consideration, and recognition. If you're a Gartner subscriber, you can access the full report on its website, which includes its methodology and analysis of its research. You can also read the press release we issued this morning. The brain power on our advisory team here at ProtonMedia continues to grow. Pretty soon we're going to crack the genetic code. The newest member to join us is Greg Pelton, Director of Engineering at Cisco. Greg will sit on our Executive Advisory Board, working with me and the rest of the management team on ProtoSphere’s 3-D collaboration capabilities and enterprise network scalability. Greg has worked on the front-end research and development of several telecommunications technologies over his career, including IP telephony, IP routing over satellites, IPTV, wireless, mobile networking, home networking, and Cisco TelePresence. We're thrilled to have him with us -- so much so we had to put out a press release about it. If you're interested in reading more about Greg and how he'll be contributing to the team, pull up our press release. Welcome, Greg! Thought I'd share some photos we snapped while we were at the ShareFEST Conference in Philadelphia last week. These are also posted to our Flickr page. Enjoy! Meeting and greeting. Can you tell it was a sunny day? The weekend has given me a chance to mull over the ShareFEST conference. I think the show went well for us. I'm excited about the new connections we made and thought-provoking conversations we had while we were there. I'm writing a more detailed post about how ShareFEST went, and things I observed from my interactions with attendees and other speakers. I'll be posting that soon, so check back for that. That said, though, I did manage to interview a few folks and record my conversations with the camera on my iPhone. We'll have those for you as soon as I figure out how to share them. :P I'm sure Steve Jobs made it very simple. Just gotta do it. 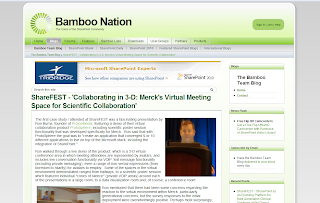 Meanwhile, click over to this Bamboo Nation article to hear how my presentation went. Writer John Anderson summed up my presentation about Merck's use of ProtoSphere, and highlighted some of the key metrics that Merck measured after their event. Also, if you weren't able to get to ShareFEST this year, I recommend you plan to attend for next year. The event was sold out. At some points during the day, it was wall-to-wall people. By our estimation, there were about 300 professionals from life sciences in attendance. There were a lot of great presentations from companies with leading-edge innovations. Definitely a keeper for us! We've been getting a lot of great feedback from those of you who've downloaded our ProtoSphere 1.4 demo build. One of the most commonly requested features we're hearing is to add a zoom function to the Presentation Boards capability. Here's some evidence we're listening your requests. Our engineers are taking your suggestions and running with them. They're already working on developing a zoom functionality, and I put together a feature peek video to show you how they're coming along. Remember, this is just a feature peek, so what it ends up as could be much different from what you see here. If we update it, we'll let you know! I had the wonderful opportunity to catch up with an old friend over dinner last week, Nick Van Dam. He's the Global Chief Learning Officer of Deloitte, and has done great work in the field of corporate learning and leadership development. In addition to his day job, Nick has set up a great foundation to spread quality education around the globe, the e-Learning For Kids Foundation. It's a volunteer-based organization that offers about 200 free, interactive online courses for children ages 5-12 (or older depending on their command of the language and scholastic level). We're working with Nick to set up an interview to talk more about e-Learning for Kids and education, so look for a podcast with him in one of our next posts. In the meantime, I wanted to tell you more about the foundation. Most of the courses are in English, but about 20 are also available in Spanish, French, and Portuguese. Topics include math, science, language arts, computers, health, life skills, and the environment. Numbers-wise, e-Learning for Kids provided free education to 1.6 million children in 190 countries last year. It has an exciting vision to reach 20 million children by 2015. BUT, this is only possible with support from corporations and individuals. Consider this stat: More than 100 million children do not attend primary school, according to UNFPA (United Nations Population Fund). Children are our future, and too many aren't receiving the education they need to realize their potential and continue the progress and innovation we're making as a society. This can be changed if all children could gain access to high-quality education. 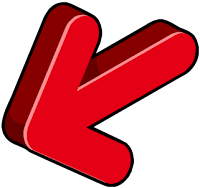 ProtonMedia is a supporter of e-Learning For Kids, and I encourage you to join us. See if you or the company you work with can step up and support this great foundation. There are several ways you can get involved, whether it be through volunteer work, partnerships, corporate sponsorship, personal donations, or anything to help raise awareness for the need to provide all our children with high-quality primary education. I look at my own brood of four, and I can't imagine depriving them of an education. Your education helps determine your future, and every child should have access to an education so they can succeed in life. Any support you can provide e-Learning for Kids would make a difference, whether for one, or many children around the world. Thanks to everyone who reaches out! It's no surprise the recession has caused many CIOs to put new technology initiatives and upgrades on hold. But a new survey from Robert Half Technology finds that some of these projects are back on the front burner. Thirty-seven percent of CIOs interviewed said they were moving forward with plans to deploy software and hardware upgrades that had been deferred due to the economy. The survey revealed several other interesting findings about what types of projects are back on CIOs' radars, and why. Jack Germain covered the findings in an article on E-Commerce Times the other week, and analyzed their implications. It's worth a read. Jack also used me as a source for his reporting. And as I told him in our conversation, while many companies have outsourced IT services during the recession, it's siloed their IT strategy. With IT investments starting to come back online, companies are naturally looking to centralize their IT tools and processes. Because let's face it, there's no better way to manage your IT strategy than to have it centralized in-house. Read Jack's article to see what suggestions he uncovered in his reporting. I created a new feature peek video describing how to configure the SharePoint Media Carousel within ProtoSphere. The Media Carousel lets you bring documents from SharePoint into ProtoSphere, where teams can edit and collaborate on them. Give the video a view to see it in action. By the way, this might look familiar to you if you happened to be at the Defense GameTech Users' Conference last week. 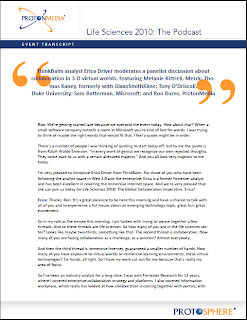 ThinkBalm's Sam and Erica Driver talked about ProtoSphere's Media Carousels in their presentation on immersive environments. 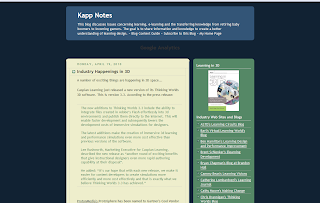 You might have noticed the button on the side of our blog where you can download a new white paper by Karl Kapp. His piece, Collaboration Advantages of 3-D Virtual Immersive Environments, discusses global industry's increasing focus on collaboration. 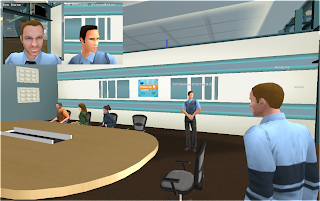 He details the elements of successful collaboration, and how 3-D virtual immersive environments (VIEs) can help organizations share content, generate ideas, and solve problems across geographically dispersed teams. Karl's white paper covers the bases regarding the benefits of virtual immersive environments, and it's well-worth a read. Also, feel free to share the white paper with others. But please, if you could, share the download link, rather than forwarding the white paper itself around. 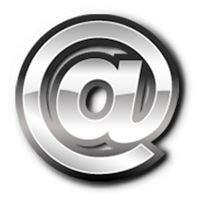 As you might already realize, we're trying to collect the e-mail addresses of those interested in this subject matter, so we can better understand the market for immersive environments and what's driving interest. So without further ado, enjoy Karl's white paper!